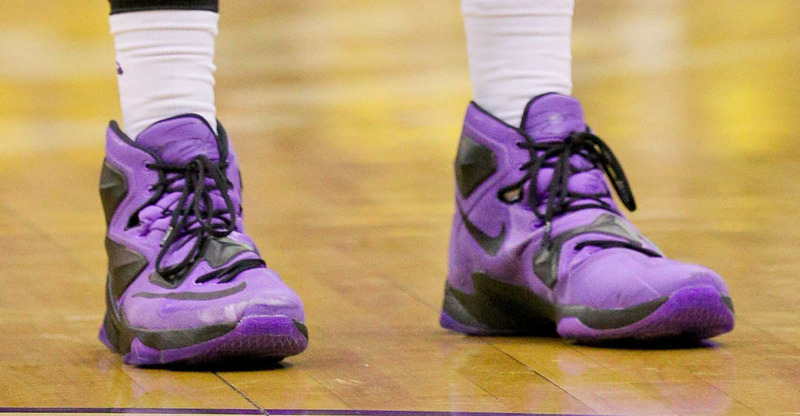 See which pairs the likely #1 pick has been wearing. 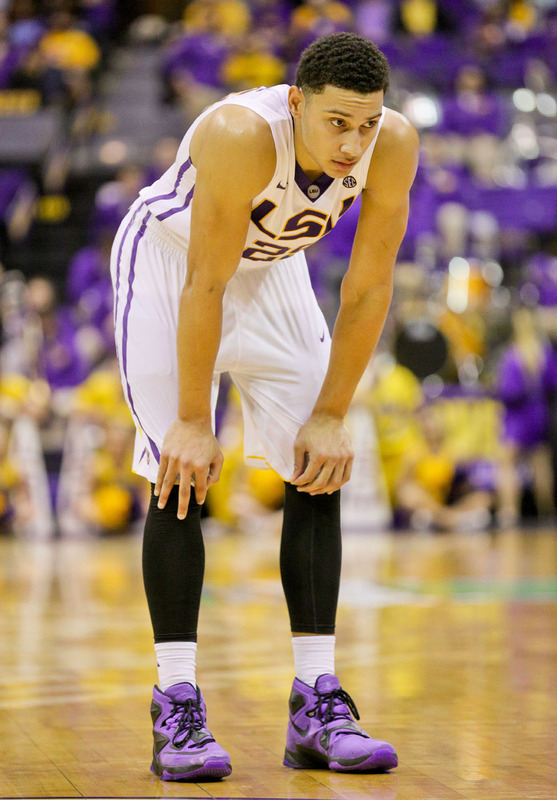 Expected to be the first overall pick in next year's NBA Draft, LSU freshman Ben Simmons is showing hoop fans (and scouts) exactly why he's the sport's most highly touted prospect. 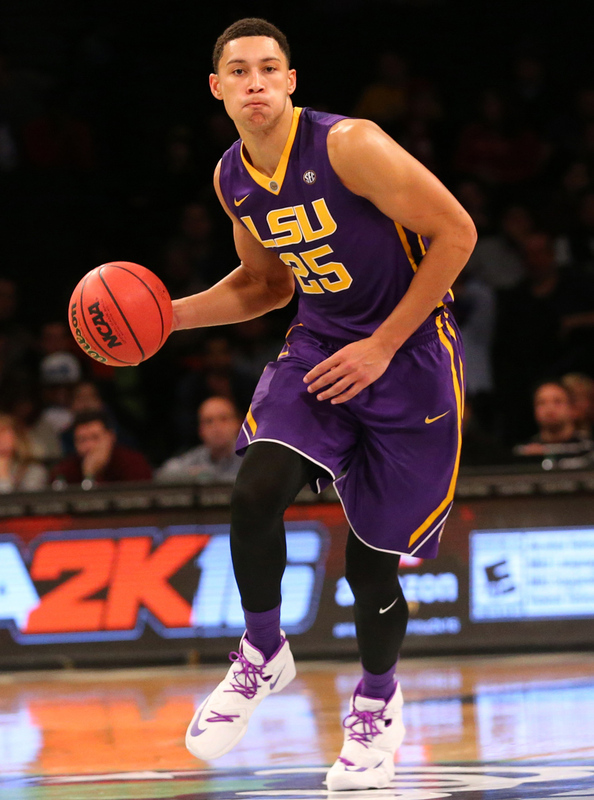 Through his first five games, the Aussie combo forward averaging 16 points, 14 rebounds and 6 assists. 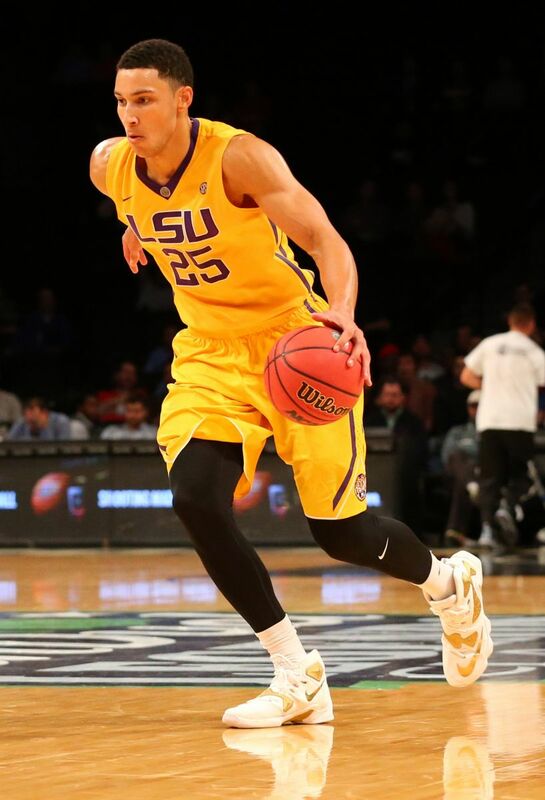 Not only is Simmons' game impressive, but his sneakers are worth keeping an eye on as well. 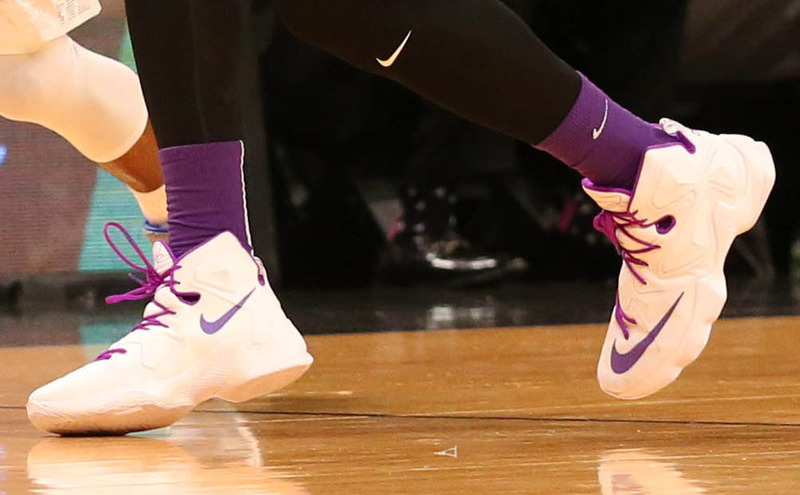 As of late, he's been wearing NIKEiD make-ups of the LeBron 13 styled in Tigers-inspired White/Gold, White/Purple and Purple/Black flavors. 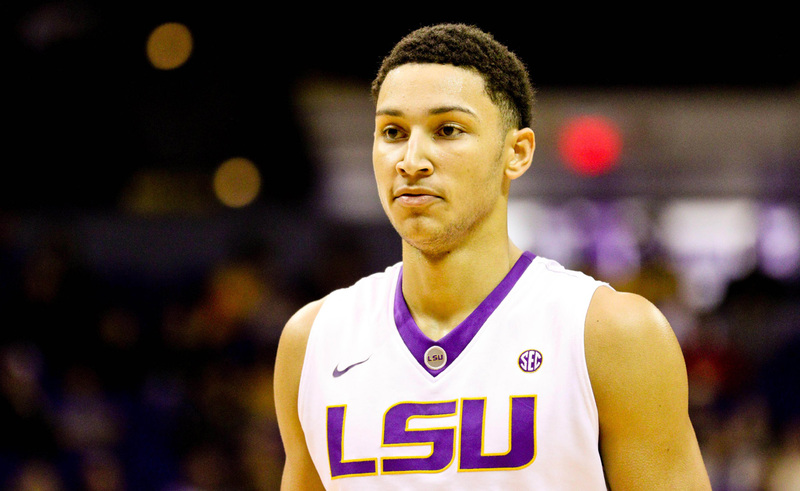 Simmons will likely be the top target for sneaker companies heading into next season. 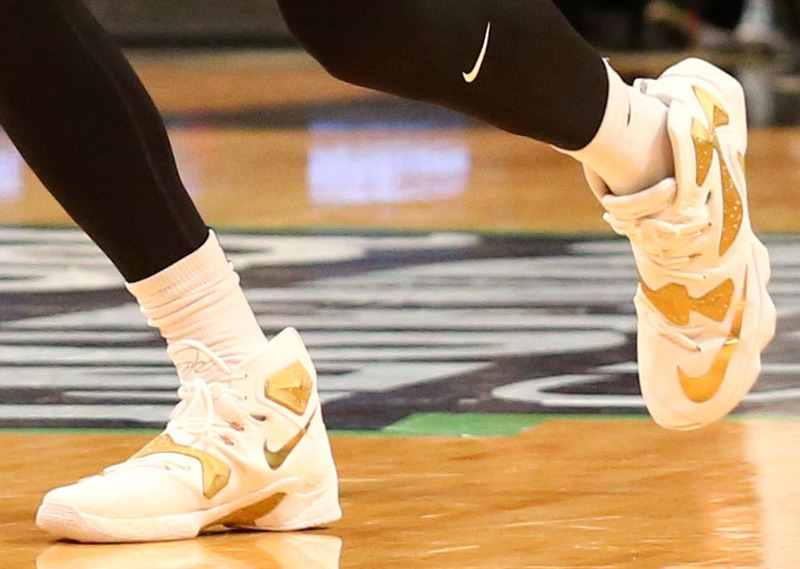 With access to exclusive colorways, Nike may already be in the lead for his services.